Mercury Retrograde gets a bad rap, but there are some good things about it too. Guys, I’m tired of the old Mercury retrograde narrative. What’s the point of magical living, after all, if we can’t embrace the cosmos with all its many fluctuations, and learn to ride the tide gracefully, gloriously, and with glee? Of course, the trick is to embrace the retrograde rather than fight it. It’s sort of like surrendering to the music on the dance floor. When you do this, all of the following benefits open right up to you. 1. Mercury Retrograde helps you shake things up, get out of a rut, and have more fun. You could call it chaos, or you could call it the universe pushing you to try something new and look at something from another perspective. Truly, life would be so boring if everything always went exactly the way we thought it would. 2. Mercury Retrograde supports you in finally understanding and fixing longstanding physical challenges (such as health issues or mechanical problems). Mercury didn’t mess with your brakes – driving did that. It just brought light to the fact that they needed to be fixed. 3. Mercury Retrograde facilitates a deeper look into your relationships so you can speak your truth and heal deeply. Suddenly it becomes so clear to you exactly what you need to say to your partner or that family member. If you step up and do it, so much healing can result. If you just feel weird and swallow your words, then yeah: you’re going to feel crappy and like your communication is stymied. It’s totally your call! Just don’t blame Mercury Retrograde. 4. Mercury Retrograde makes it easier to break unhealthy habits. Mercury Retrograde’s penchant for breaking old, expected patterns doesn’t need to be a bad thing! Tired of reaching for that afternoon cigarette or eating too many sweets? There couldn’t be a more perfect time for quitting. 5. Mercury Retrograde facilitates a greater and more helpful perspective on pretty much everything. You might think of Mercury Retrograde periods as moments when you can step far enough away from the mural of your life so that you can actually see the whole picture and how each part interacts with each other part. While this allows us to see and experience discord so that we can heal it, it isn’t what creates the discord in the first place. Rather, it gives us the broader view we need in order to heal it in a longstanding way. 6. Mercury Retrograde provides clarity for examining and revising old decisions. Ever wish you could have a do-over in life? To look at old decisions and shift them according to what you’ve learned in the time since you made them? You absolutely can! Brought to you by Mercury Retrograde. 7. Mercury Retrograde dials you into your intuition. According to Hay House astrologer Mark Husson, “More than 50% of the top 100 Fortune 500 businesses were started under the Mercury retrograde.” Considering Mercury is retrograde for far less than 50% of the year, that’s a far cry from the old, “Don’t start or sign anything” story. A really far cry. And there’s a good chance it’s because our intuition is so vivid and accurate during this period. 8. Mercury Retrograde clears up old misunderstandings. Remember that the misunderstandings aren’t Mercury’s fault. Like a flashlight in the dark, Mercury is just letting you see the issues so you can fix them. 9. 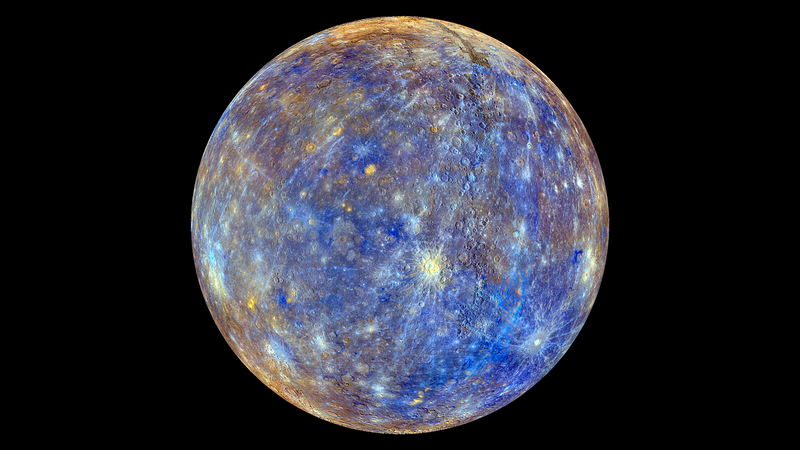 Mercury Retrograde releases obsessive or repetitive thought patterns and promotes a sense of mindful calm. The planet Mercury is about rapid thought. That’s why when it goes retrograde, we have the opportunity to part the curtain of obsessive thought and step into a sense of mindful, expansive calm. See? Like I said: there are good things about Mercury Retrograde too. Did you resonate with any of these Mercury Retrograde benefits? Or disagree with any of them? Please share your thoughts the comments. This reminds me very much of a very wise old druid I spoke to many years ago when I was in my twenties. He said that there are two ways you can approach having to go out in a cold north wind. You can either tense up, bow your head, breathe shallowly, ache all over and feel thoroughly miserable, or you can hold your head high, breathe deeply, feel the elation and shout out to the gods…… I know what I’do rather do, and I think the principle of embracing and enjoying what comes your way is a good one to follow. Glad you enjoyed, Cindy! Thank you for reading and connecting. Wow this is exactly what I needed to hear, already it’s been a struggle. I feel myself choking and am unsure what it is I need to communicate, or if I am just overthinking. I will try to embrace this time, stay present, and I look forward to fresh beginnings. Thank you!